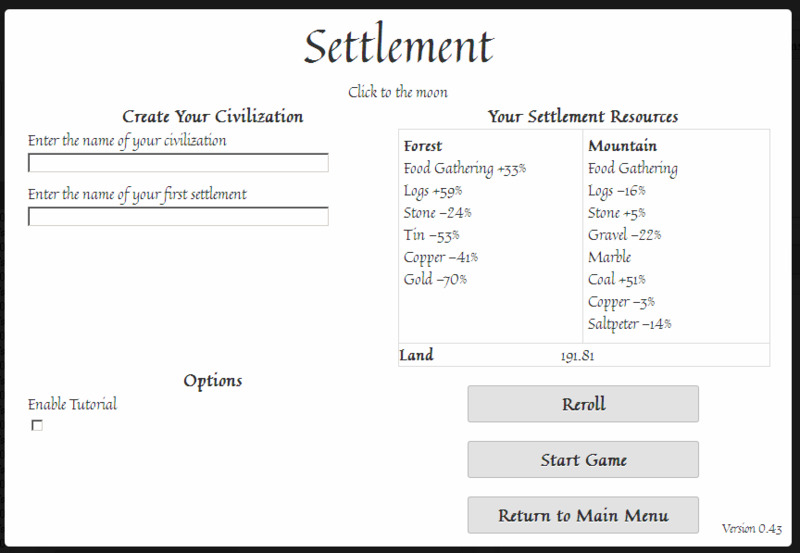 Settlement is the first game developed by S. J. Vellenga. It is an attempt to bring the classic RTS (Real-Time Strategy) genre into the clicking world by allowing players to control resource production through micro management, settlement management and expansion, trade, and eventually, combat. The game has since been abandoned to make way for a PHP based multiplayer version of the game, allowing for playing anywhere and player interaction including combat and trade. The original game is still available, but it will no longer be updated. Development started in early 2014, with the first prototype being released around May of the same year. 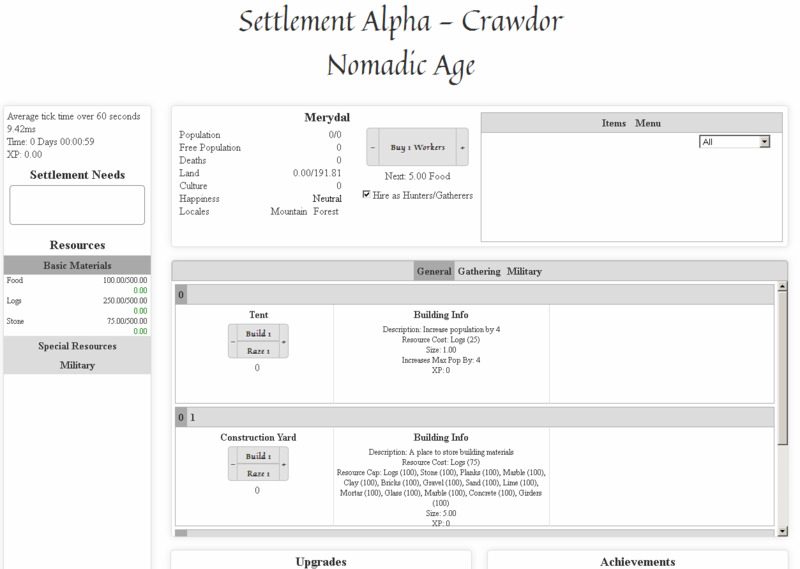 It was intended for early alpha testers only, and was received fairly well. 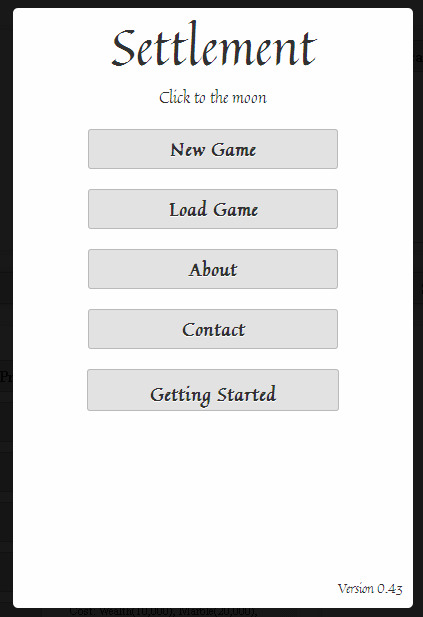 After a fair amount of feedback, the game was overhauled, providing a new interface for players to interact with, and a better gaming experience. The previous split list system, providing a separated list of workers and buildings, was scrapped in favor of the new combined list system. The project was again overhauled several months later to provide yet another change in the way users interacted with the game. The combined list was adjusted yet again, allowing for buildings to be stacked. 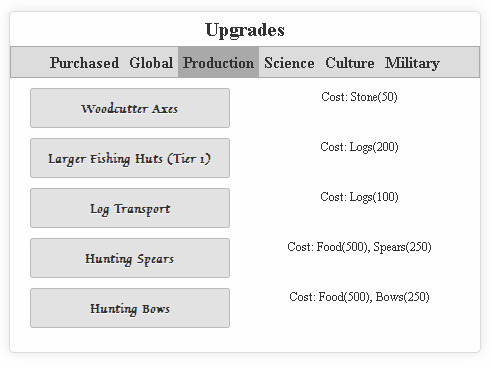 Buildings could then be upgraded from an earlier level to the next tier, saving both space and time searching for these upgrades. 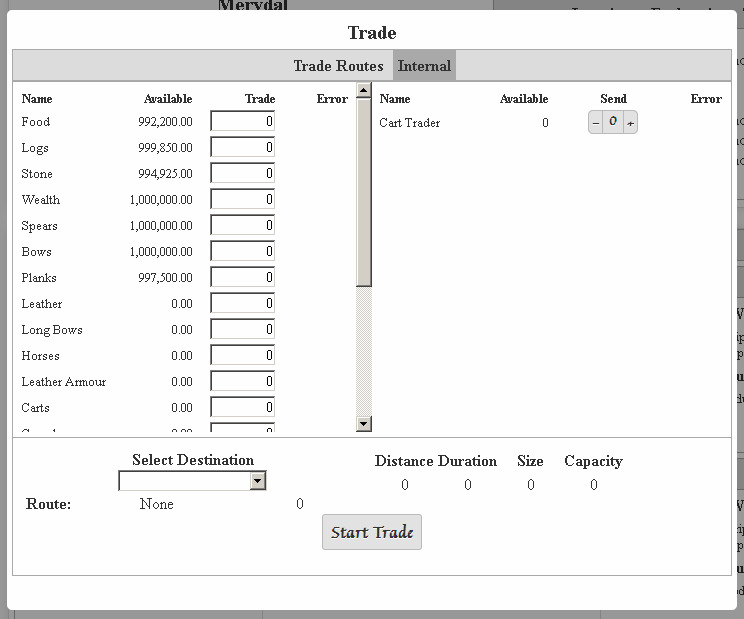 The trade system was introduced around this time, allowing for players to expand from their settlements and find new locations with richer resources and trade between them. 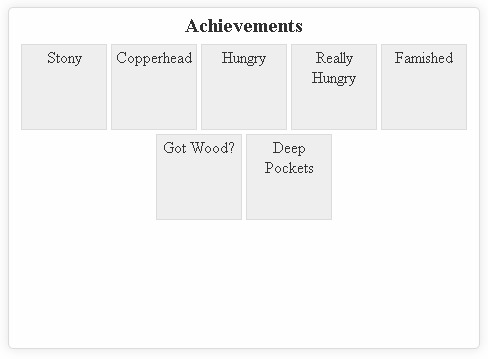 The game revolves mostly around the production of resources. Early resources, such as logs, can then be processed further into planks, which can be used to produce more complex buildings. Some resources, such as coal, tin and copper, can be combined to create complex resources like bronze. As the game progresses, the list grows longer. Ages take a major role in determining the current place in the game. 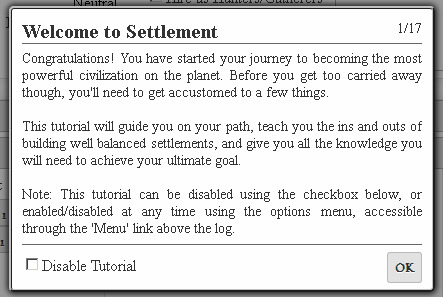 There are currently nine ages accessible, ranging from nomads to space age, though more are planned. Each age will unlock a number of new resources, workers, buildings, and more. Settlement locations provide a way of limiting the number of resources a player actively has access to. 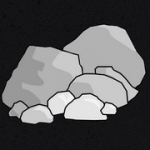 Some resources, such as food, stone, and logs, are available in every location (as they are vital to progression), while others, such as iron or uranium, are strictly limited by location. Furthermore, resources can have low or high production rates, giving the player the choice of taking a smaller deposit in favor of convenience. The future of the game is bright, with the developer actively working on new content and updates. It has been announced that new features including disease and disasters are on their way, and will be implemented as an optional gameplay element, meaning that each new game can be tailored to suit the experience of the player. Further additions, such as automated trade, a NG+ (new game plus) system, combat, and more, have also been announced, but a release window for these have not yet been published. 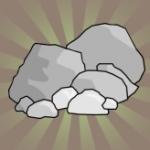 Clicker, IdlerThis game appears to be abandoned, as it hasn't been updated in some time. Click to gather coffee beans. 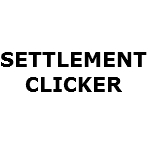 Clicker"This is the post-compo version of our cookie-clicker'esque game that was made during last weekend for the Ludum Dare jam http://www.ludumdare.com/compo/ludum-dare-28/?action=preview&uid=16498"